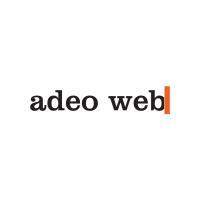 News Release: Adeo Web Announces February 26 as date for Free eCommerce Seminar at St. Charles Chamber of Commerce! The event will feature experts in the field of Search Engine Optimization, Digital Marketing, eCommerce Software and more. Ron Lilek, Adeo Web’s Director of Sales, stressed that attendees will be able to learn about eCommerce and share their own experiences in an informal and relaxed atmosphere. “This will be an educational seminar, not a sales event,” he said. The event will be held at The St. Charles Chamber of Commerce headquarters at 216 Riverside Avenue, St. Charles IL 60174, and will run from 11:00 AM to 1:00 PM. A light lunch will be served. The event is free of charge, but attendance will be limited to the first 25 people who register.